Towards the end of the summer diving seaon 2016, our PADI Divemaster, Lucy worked very hard to achieve her Technical Diving certifications. Having completed PADI Tec40 and PADI Tec45, we took her on the world famous wreck of the Zenobia in Larnaca to have a bit of fun and explore. As an active Divemaster working in Cyprus for most of the year, it’s fair to say I’m very comfortable with warm seas, stunning visibility and balmy sunshine all year round. It doesn’t get much better than that! However, when the season comes to an end and I go back home for winter, the conditions are quite the opposite! I returned back to England, mid-November! My last dive in Cyprus was a lovely 73 minutes at 22 degrees, so I knew when I came to dive back home (to water less than 10 degrees) I would get a massive shock to the system. 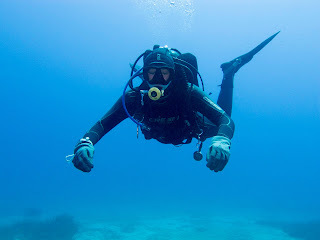 In the time that I’m home, I like to dive as much as I possibly can in order to stay active and keep my skills fresh. There is no way I could spend five months dry, so I need to be able to adjust and I knew the transition would be challenging. I was so excited to get back in the water. 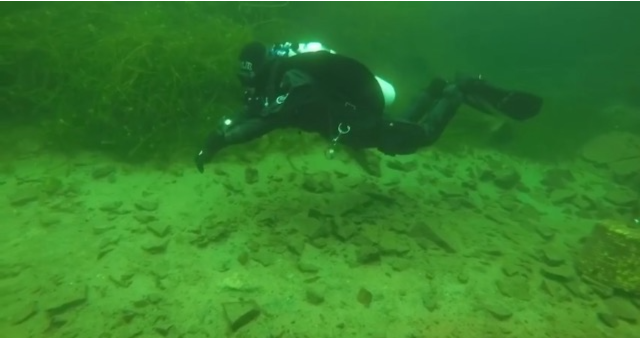 I had learnt to dive initially in the UK in a quarry called Stoney Cove and before I worked in Cyprus, I used to dive in cold water all the time, so it was nothing I hadn’t experienced before. The majority of the equipment I use in Cyprus is exactly the same as I would use in the UK so there is no change there. This makes the transition a lot easier! Having the right equipment is vital for diving in the UK. It is essential to use regulators designed for cold water, and that have been environmentally sealed.The amount of people I have seen since coming home that have had free flows due to inappropriate regulators or poorly maintained equipment is ridiculous. Furthermore, having a well fitted dry suit, with the correct thermal protection is also very important for cold water diving.It makes all the difference. I must say it did feel extremely strange going back in to a dry suit after wearing a 5mm wetsuit (and even a shortie) for the past 7 months! My first dive was somewhat of a shock, I knew it would be cold, but I hadn’t anticipated it being that cold. One tip I have picked up, is to jump in to the water without a mask on. This helps your body adjust to the cold water that little bit easier. Also if you get a bit of water in your mask during the dive, the cold water won’t be as much of a shock. It sounds crazy I know, but it works. Although the first time I did this, the exposure to the cold set both my heart and breathing rate racing. This is a physiological reaction called the mammalian diving reflex, which is normal when exposed to cold water. Give it a couple of minutes, it will pass and your breathing and heart rate will slow back down. Check out these quick tips for scuba diving anywhere. I dove to 22m for 45 minutes. The water temperature was five degrees and the visibility was less than 10m. After that length of time, I began to get quite cold, and it was time to get out. The outside temperature at that time was below freezing. However, the dives were fantastic! There is something about diving in the UK that I will always love, but it’s definitely not what I’m used to anymore. I work and dive in warm waters. When I tell people I dive in cold water in a quarry in the middle of winter, sometimes they think I’m crazy. 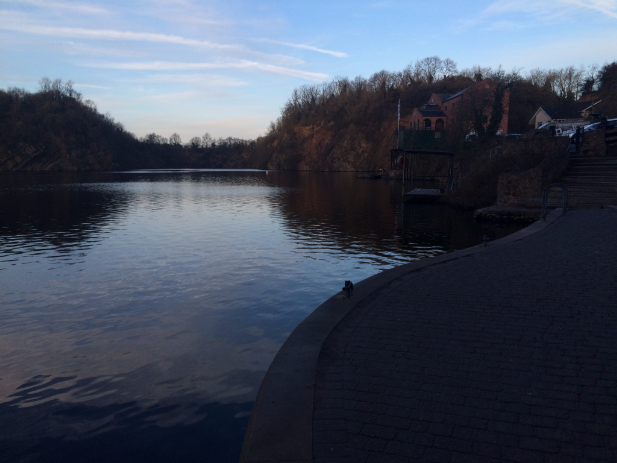 I often question it myself when I’m sat in the Stoney Cove car park at 6am on a January morning! But with the proper and appropriate equipment, cold water diving is just as comfortable as warm water diving and equally as fun! Diving in the UK isn’t for everyone, it is cold and dark with sometimes limited visibility, nothing like diving in tropical warm waters, but I think that is one of the appeals of it.